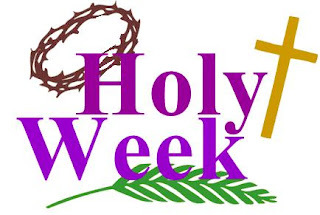 Holy Week- (Pre K – K) lesson plan with: Objectives, Word Wall, Bible Story with questions, Songs and/or Finger Plays, Activities, Crafts, Games, Snacks, Coloring/Puzzles, etc. Holy Week- lesson plan for 1st grade on up with: Objectives, Review, Vocabulary Words, Bible Story with questions, Activities, Crafts, Games, Snacks, Puzzles/Mazes/Worksheets, etc. Palm Sunday- lesson plan for 1st grade on up with: Objectives, Review, Vocabulary Words, Bible Story with questions, Activities, Crafts, Games, Snacks, Puzzles/Mazes/Worksheets, etc. Last Supper/Holy Thursday- lesson plan for 1st grade on up with: Objectives, Review, Vocabulary Words, Bible Story with questions, Activities, Crafts, Games, Snacks, Puzzles/Mazes/Worksheets, etc. *You can also decorate the chalices with sequins, rhinestones, glitter, etc. 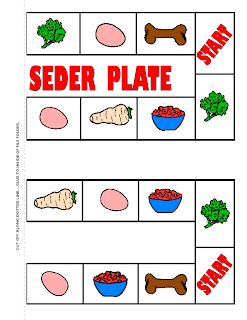 Passover Seder Crafts- Passover Seder ideas for the students to make. *More crafts, games, puzzles, worksheets, etc. are listed in the lesson plans above. Holy Week Bingo-Make up simple bingo cards using pictures or vocabulary words with Holy Week questions from your lesson. Be sure to make calling cards out of index cards so you can hold up the picture or word so the children can see if they have that on their Bingo card. (You can also just make the spaces on your Bingo cards in the shape of a cross to remind them that Jesus died on the cross for them). 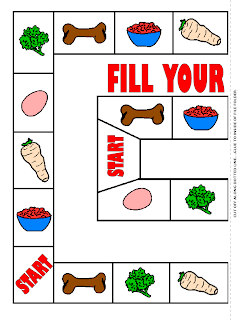 teach-nology.com- Free 3 x 3 or 5 x 5 Bingo card that you can make. dltk-cards.com- You can also replace some or all of the pictures in the picture bingo option with vocabulary words to help teach students vocabulary. At Step Two: Choose Your Theme under Picture Bingo, scroll down to the bottom to BLANK to design your own Bingo cards. The following activities are free, however they are only to be used for classroom and personal use. They may not be published on any websites or other electronic media, or distributed in newsletters, bulletins, or any other form or sold for profit. Reproduction or retransmission of any materials, in whole or in part, in any manner, is not permitted. Holy Week Spin the Bottle Game- Play a wacky version of Spin the Bottle by answering questions about Holy Week. Question included. Holy Week Memory Game- Play Memory, Go Fish, or Sequencing with these cards. Directions for Bible Timeline Game are also posted. Last Supper File Folder Game- Play individually or in teams and work your way around the game board answering questions about the Last Supper. If you are correct you roll a die and move your marker in your row in any direction you want. If you land on a colored space, you can move one row toward the center with “Last Supper”. Play continues until a team or player reaches “Last Supper”. Holy Week File Folder Game- The objective of the game is to go through all the days of Holy Week by answering questions about each day. The player spins the spinner and follows the directions. If the player spins “Next Day” they move to the next day. The players must go to each and every day (even if they spin 2 and only need 1, they have to stop at the day). The player cannot pass a day until they answer a question about it. The questions are on a question sheet that is divided into the seven days of Holy Week. The teacher will ask a question from the list about the day that the player landed on. If they are correct, on their next turn they spin the spinner. If the player misses the question, on their next turn they do not spin the spinner, but they must take their turn and answer a question about that day of Holy Week before they can move on. The first person to move around the board and answer questions correctly on all 7 days of Holy Week, wins. Continue playing to find out who comes in second, third, fourth, etc. place. More 365 Activities for Kids (do any of the puzzles, mazes, dot-to-dot, spot the difference, etc. from November 2 - 21). Jesus Who? (find the hidden pictures)- Hidden Pictures Explore Hidden Treasures in God’s Word: Grade 1 – 3 by Linda Standke, page 27. The Lamb of God (find the hidden pictures)- Hidden Pictures Explore Hidden Treasures in God’s Word: Grade 1 – 3 by Linda Standke, page 28. Starting with Palm Sunday, students put the events in order in which they happened. What Happened During Holy Week?- Label the pictures below with the correct day of Holy Week. Then color the pictures. (For younger students: Ask the students what is happening in the first picture. Discuss. Then ask them, “What day of Holy Week is it?” Write #1 on the board and Palm/Passion Sunday beside the number. Continue with pictures 2 – 4. Holy Week Worksheet- The following days of Holy Week are in the wrong order. Number them so they are in the right order. Then draw a line to what happened on that day.